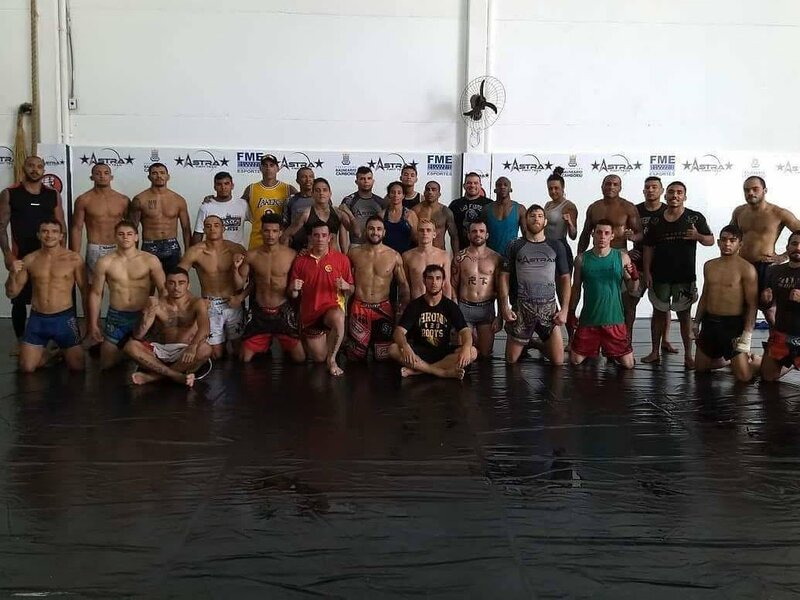 MTK MMA has opened its first gym in Brazil under esteemed fighter, coach, manager and promoter Marcelo Brigadeiro. The Astra Fight Team organisation will now fly the MTK Global flag with Brigadeiro overseeing operations at its headquarters in Balneario Camboriu, Santa Catarina. With Brigadeiro and his fellow coaches Tim Ruberg and Alexandre Guerra, MTK MMA will work to develop the careers of all 57 fighters currently under contract as well as a social project aiming to change the lives of hundreds of impoverished local children. Brigadeiro said: “I’ve managed to build one of the best teams and biggest promotions in MMA and until now, hadn’t found anyone who could add to what I was doing. “MTK has everything needed in order to boost the quality of the job we are doing. It’s a professional and highly-qualified team that can fill the gaps in what was previously a one-man mission. Already among the lengthy list of illustrious fighters on the MTK MMA roster in Brazil are Darren Till’s team-mate Mike Grundy, Viviane Pereira, Felipe Silva, Glaico Franca and Ricardo Prasel. World-ranked welterweight Till, who fights under the MTK Global banner, makes his homecoming at Liverpool’s Echo Arena on May 27 against fellow UFC star Stephen ‘Wonderboy’ Thompson.